Continuing the Mystical Places and Sacred Sites discussion of this Revelation13.net site, Mt. 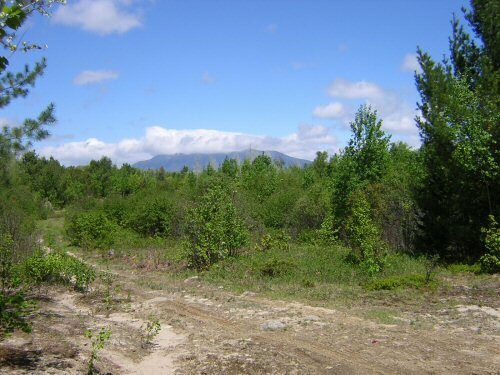 Katahdin in Maine is shown in the photos below. It is a sacred mountain to the local indians, believed to be inhabited by an evil deity, Pamola, an eagle-like monster with a large head and the body and feet of an eagle, who feeds on Moose and lives on the top of the mountain in the clouds, ready to tear to pieces anyone who should climb to the summit. And Wuchowsen, the wind bird, produces the thick fog on the summit for Pamola, this fog is called Pamola's Plumes. 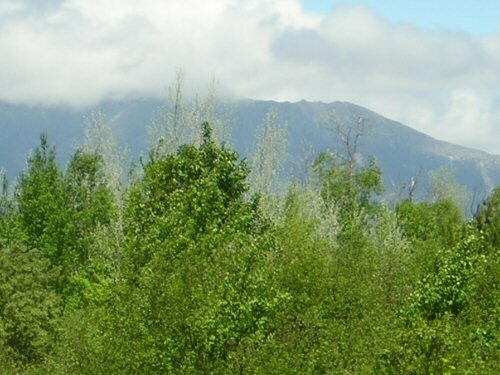 The local Penobscot indians have a sacred trek where they walk long distances to this mountain in the Fall, but they will not climb to its top because Pamola is there. Katahdin is an Indian word meaning "the greatest mountain". It is true that it is a dangerous mountain to climb because of the high winds, cold, and fog at the top, and the sharp fall. The highest point Baxter Peak is 5267 feet, and the other peak Pamola Peak is at 4902 feet, with a very dangerous 1 mile walk on the knife edge between the two peaks. Writer Henry David Thoreau climbed the mountain in 1846 but did not reach the summit. Thoreau Spring at 4636 feet is named for him. Mt. Katahdin is located at 45-55 North, 68-55 West, very close to 46 North, 69 West; note that 46 is the "number of man", man having 46 chromosones; see the Greek page on number patterns and the geographic coordinates page. Photos below by T. Chase, May 2004.